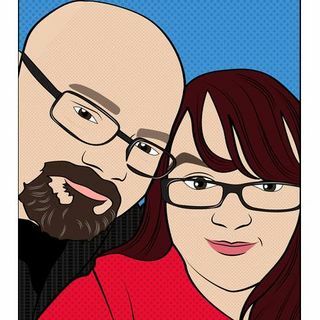 Welcome to "Voices for Change 2.0" Co-Host's Rebecca and Joe Lombardo have been happily married for 15 years. At age 19, Rebecca was diagnosed with bipolar disorder and struggles with mental illness daily. In 2013, she survived a suicide attempt. As she recovered, she started a blog detailing her struggles. Eventually that blog was turned into a book called It’s Not Your Journey and is now available on Amazon.com. This Saturday we'll be chatting with Dr. Denise McDermott. ... See More She is well known for her psychiatric practice as well as being an author, blogger, and podcaster. Rebecca is now an advocate for mental health as well as a best-selling author and international blogger. Joe is also an advocate for mental health and an accomplished musician. Together they hope to provide people with the point of view of not only the person with mental illness but also the spouse and caregiver. We Hope you will join us for "Voices for Change 2.0" every Saturday at 11:00 am EST right here on the Left of Str8 Radio Network.